Hello guys? What's up! It's already November, one month to go before 2019. Time flies so fast! Oh? I just wondering to share my past few weeks how's my life going through. After posting my confession for this blog I feel free and unobstructed. Before I feel broken and unmotivated. However these things can't help me out to moving forward. I'm stick for the cynical things that makes me feel ignorant. "so stupid right?" My anger strikes me when it comes about rejection and embarrassment. but doesn't help me anymore. Now I could learn a lot to accept things no matter what and I'm so happy that I've already release all doubts in my life and keep my life going. Speaking of life going. Last Sunday I went to the christening of one my Goddaughter. OMGG! as a Godmother they are a lot. " Ang dami ko na inaanak, anak na lang ang wala ako charot!" 😂😂😂 Here in Philippines if you have a lot of Godchildren be ready for Christmas you need to work hard to earn money for their Christmas gifts. HAHAHHA! 😂😂😂 in our tradition Christmas is their very special day. That's the purpose of being Godparent. "Ang sayah pati bulsa mo mamumulubi joke lang!" Godchildren are blessing they are precious came from God. Knowing what the Bible says about children will help you connect with God's heart and the children in your lives, which is always a good thing. I love sharing their gifts They are my angels. Soundtrack : Coke Studio PH (Philippines) Proudly local Lol! Do you have any plans for next year? Well mine is going to travel next year. I really want to visit Cebu! "crossfingers!" Because Cebu has a lot of beautiful attractions and tourist spots. If you love extreme and adventure this is the perfect place that you need to put on your bucket list. Actually I' am going to Cebu alone. "as always" I have planning to visit in coming March 2019 woo! I'm so excited for this! If you have an offer or any suggestions for tour and accommodation please let me know! right now I'm still finding for any cheaper price for tour. Thank you so much guys. What about Halloween? Well I' am not a fan of Halloween actually during all saints day I have a work and do my task. Yah! we don't have Halloween party here in Hotel. mostly we have a lot of guest accommodating that we need to assist first. It was a ordinary day for me so no expectations. but I really love to watch Horror movies. so thrilled and suspense. AHAHAHA! After that I can't sleep at the midnight Lol. 😂😂😂. What's you plan next year? No, I am not a godparent. But congrats to you on your new goddaughter. I had fun taking my girls out for Halloween, but they got SO MUCH CANDY!!! In Portugal we are starting to "adopt" tha Halloween and, its just like Flossie says, so much candy :D But it's so good to see the kids joy, they really love it. Like you, i wasn«t sach a great fun o fit but, now i'm starting to like it. You reminding me how 2019 is close is freaking me out. I am not a Godparent, I haven't thought of any plans yet and my Halloween was pitiful, had too much candy and no one came to trick or treat so I am still left with loads of sweets. Thank you for the encouragement Melanie! I really hope "crossfingers"
I can't believe the year is nearly over. It's crazy how fast time went. I hope you can travel more next year! I am not a godmother yet, but surely looking forward to it! I can't believe this year is almost gone already! Time just flies sometimes! Thanks for sharing this special time with your family! I'm not a Godparent, but I am an aunt to 2 little boys and love spoiling the heck out of them over the holidays. Have fun with that little one, she's adorable! I am so so so with you and wrote a long blog post about NOT being a fan of Halloween as well last week! Ha! NO THANK YOU! I am so glad that day is OVER ;) PS: your goddaughter is ADORABLE! I am not a godparent, but my kids have godparents. I have a lot of plans for next year we'll see what happens with them! :) And Halloween was cold but good. I am not a got parent. But your god daughter is SO CUTE ! Cebu is on my list of places to travel too! Your goddaughter is so adorable! I'm glad you're enjoying life and thanks for sharing you little life update! No I am not yet a godparent. Your god daughter is so adorable and cute! This year is FLYING by! My son is nearly one, say what!? What a beautiful christening! Im so glad things are going well. I love being a godparent! The christening is lively. I saw the pictures you posted on fb. I'm a godparent so I know how it feels. What a sweet goddaughter you have. 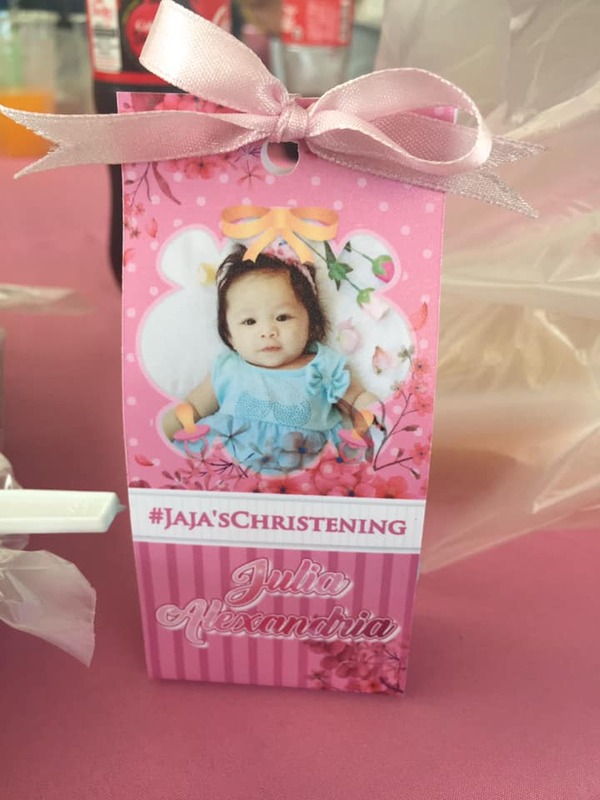 I just love the picture that they made for her christening. Cute little God daughter of yours! I became a godmother for the first time this year and I love it! Your god baby is adorable! Keep the motivation going! I have lots of travel plans for next year too. I've always wanted to go to Cebu! I am not a Godparent in the way of a religious ceremony. But I am listed as legal guardian for both of my nephews if something happens to my sister and her husband, so it's similar. My boys dressed up as the PJ Masks for Halloween and we had to dodge the thunderstorms for trick-or-treating, but we still had fun! Your Goddaughter is adorable, congratulations! I'm not currently a Godparent though I can imagine it would be quite expensive. For Halloween I was unfortunately ill and wish I wasn't so my husband and I could have done something more fun! Sounds like you have great plans for the upcoming new year. I hope you get to travel! Not a godparent (not religious). I dressed up as a vampire for Halloween and went out with friends :) It was amazing! 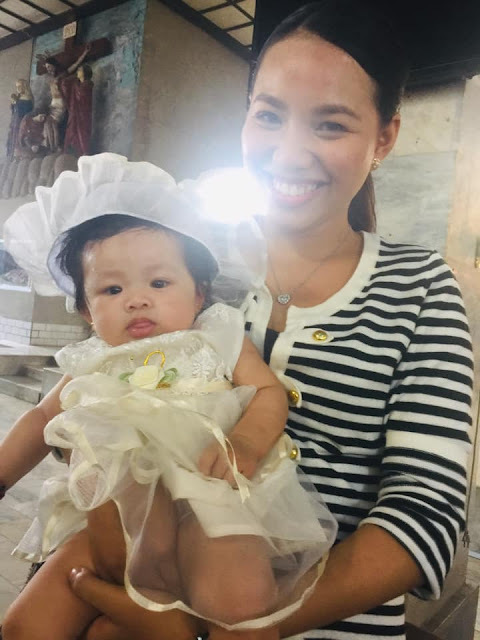 Congratulations on being a godparent! I'm also from the Philippines and I couldn't agree more! It is SO true that we have to prepare for Christmas and their birthdays haha. 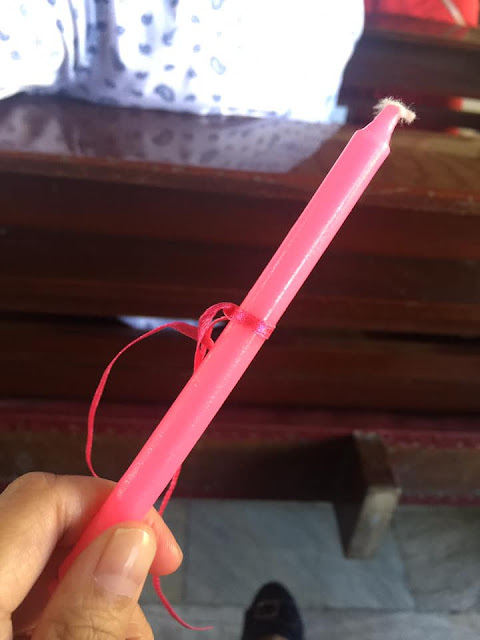 Grabeh talaga pag ninang na no? congrats on being a godparent! I am an aunt to 7 (none of my own yet). They do get expensive but I love spoiling them all at Christmas. Thank you for sharing. I am not a godparent, but am a parent and a grandparent. My plan for next year is to see our parents who are both on other parts of our country, and to travel, which we didn’t get to do this year due to health problems. I’m thinking beach or mountains. I don’t really celebrate Halloween anymore, but really enjoy seeing my how my grandsons dress up each year! Such a beautiful and special role! I've been a godparent several times and never feel like I have adequately lived up to the task. Best wishes! Cute baby! It's sweet how you hold her. Anyway, for next year , I plan to attend more networking events and meetups in regards to my blogging. Not a godparent yet but so happy to read about your beautiful godchild! Wish you a happy halloween and the last month of the year! To answer your questions. I am not a Godparent. My plans for next year is to hopefully have my blog take off and do well and have new experiences. As far as my Halloween, I don't like all the candy that comes in the house because it adds to my weight. Thanks for sharing your experience. My Halloween was busy but it went well. Yes, I am the godparent of one adorable little boy. As for my plans for next year I have no clue, there is a ton I want to do but I need to get everything organized. I'm so excited for your solo visit to Cebu next year! Can't wait to read your posts on it! Your god daughter looks SO sweet! Time most certainly flies by! Halloween was not as busy this year. I had nobody come to my house and I have lots of candy still! That's a very fancy Christening! Looks like you had fun. Wow! I am happy for you, both the baby and you look great! Good luck! I am a godmother! Our Halloween was awesome, thanks! How precious, your story about your Goddaughter, Christmas, and how they are a precious gift from God. Yes, we feel the same way! By the way, I love your sweet spirit and you are beautiful. God bless! I surprisingly a godparent mostly sans my consent, hahaha. It is a Filipino culture that I find quite off. But for others who ask me to be Godparent, I decline for that responsibility. But hey congrats for being a Godparent! And if they insist then blame the parent. I don't acknowledge it, hahahaha. But my Mom is the one who tolerates it. What a celebration! Congrats on welcoming your baby girl to the new church. I have a lot of plan that I wanted to do for next year and I hope to achieve all of them. That looks like a nice celebration, congrats to you and to your baby. I am a godmother to two girls. One is in Greece and I see her all the time and the other is in Ilo Ilo and I've never met her. Congratulations to you! It is a privilege to be a godparent. I have 3 niece and 4 nephews and all of them are my godchildren. Wow, Such a fun and great experience you had. You have such a cute god daughter. I have never had a chance to be a godparent and it looks really fun. What a sweet little baby! I wish I could say my plans were to travel next year, but it's quite the opposite in fact. We're saving for a house. I am a God-parent four times over. Next year I plan on traveling more, so I can visit them more. I've been a godparent three times and I know the feeling of excitement, hope you enjoyed the event, too! Im a godparent of many times.Christmas is nearly coming. Christmas day is for kids. I believe a lot of children would love to celebrate it even once in a year. Beautiful goddaughter! I am not a godparent yet, but I would love to. I am not a fan of Halloween either, haha. As for next year, travel and focus on my work would be my priorities. Your goddaughter is really cute. I don't have one. I love Halloween as my kids crazy about it. Yes I need to concentrate my work now. I am very happy to see that you selected as a Godmother.Congratulations! your GodDaughter is so cute. I never thought to visit Cebu so please do a review when you go. I go on solo trips often so I am with you and planning a solo trip next year myself! 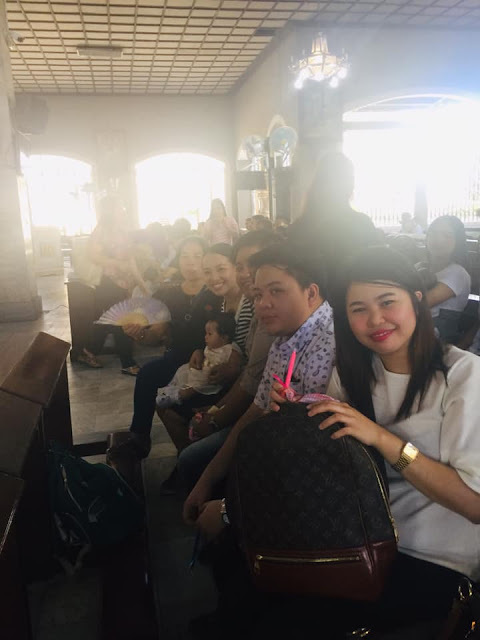 Congrats for the new blessing as Godmother to the beautiful angel., May you have more Blessing to Lord Gold always bless you. I am a god parent of so many kids and some kids whose parents made me a god parent without my consent or knowledge, LOL. All I know is that I am a great god Mom because I take good care of my god kids! Your goddaughter is so adorable and congratulations!! I'm really hoping I'll get to travel next year too. I've always wanted to go to Cebu! Hope you have a ton of fun on your trip! Your goddaughter is so cute. Congratulations! i really plan to study more about website designs and programming.. hope i can muster all the strength and yeah ahve all the time i need to balance everything else!